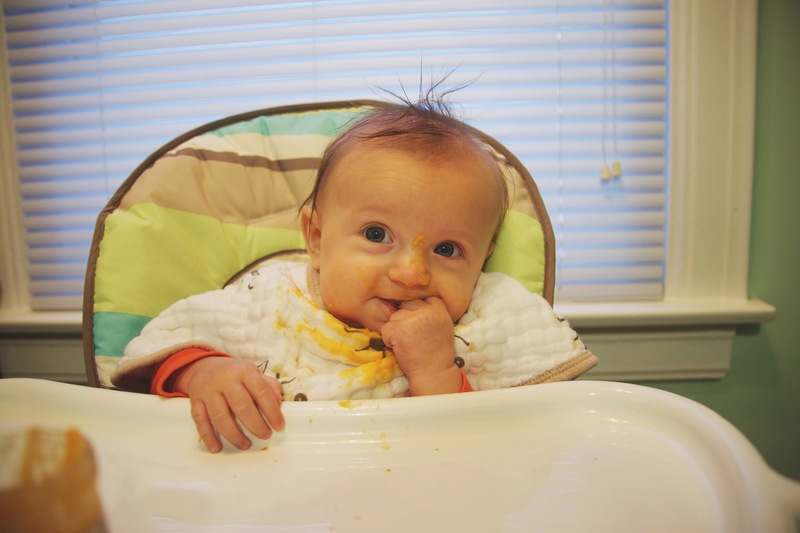 As some of you know, I’ve had a problem keeping up with my son’s metabolism while breastfeeding. He. Is. Always. Eating. 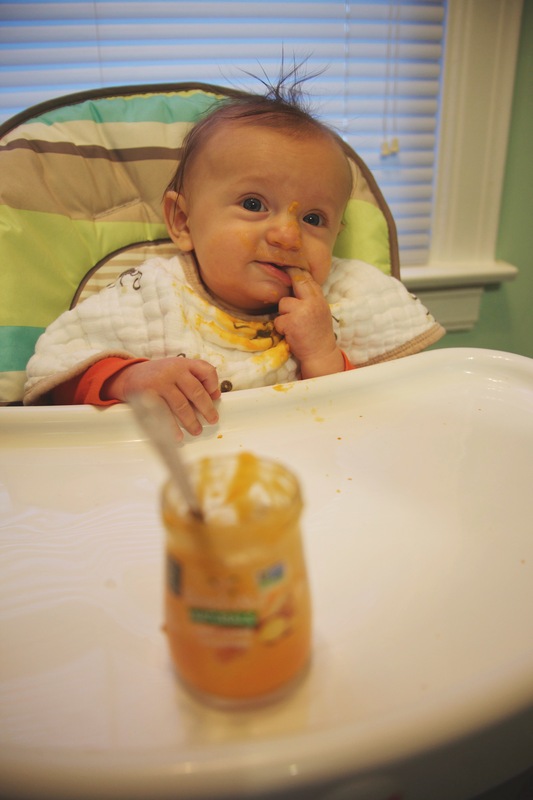 We joke that our 4 month old is already eating us out of house and home…but it’s not a joke, at least not a funny one. He’s lactose intolerant (so no formula) and we’ve chosen not to use soy…so that leaves us with (dun dun dun) SOLIDS at 4 months old!!! 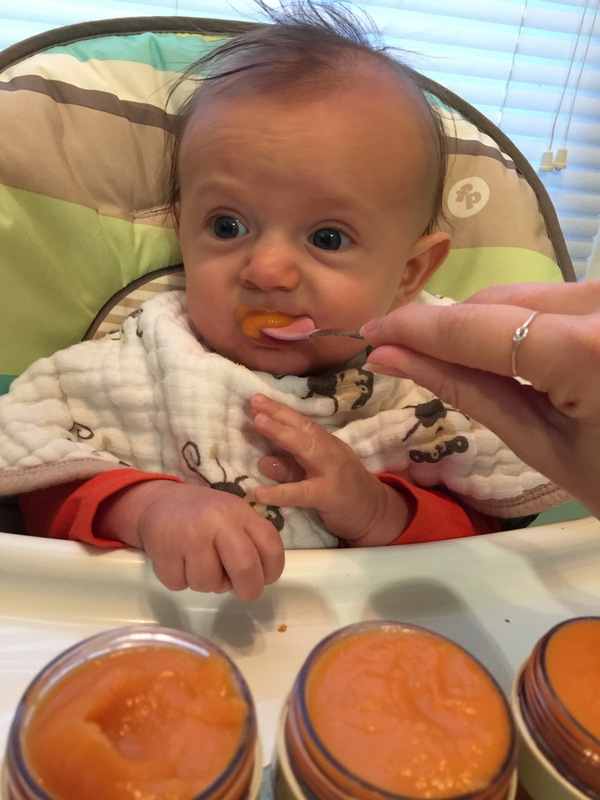 Carrots…he’s not so sure about them yet, maybe it’s the fact that his face turns orange for a day?!? 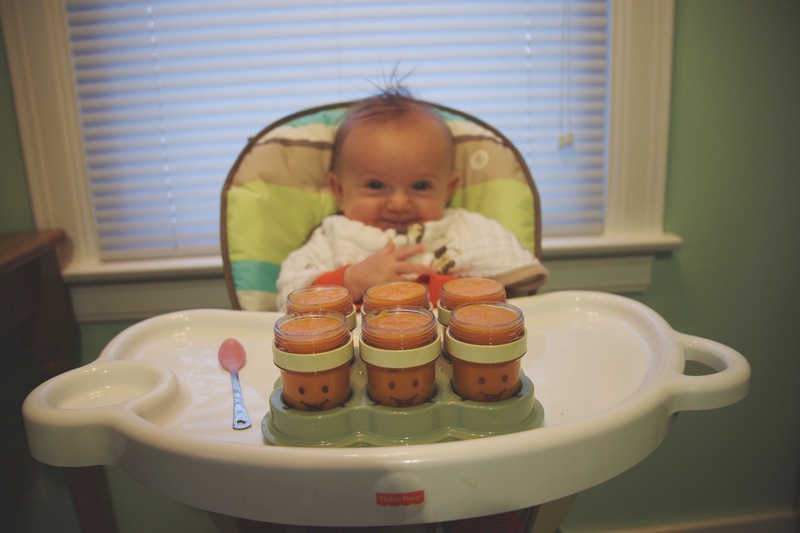 Applesauce, especially Oma’s homemade applesauce…winner winner, chicken dinner! Kefir + oatmeal…YUM and the probiotics in the Kefir makes it a double win! Last but not least, bananas! Weird texture, but they’re growing on him. He loves to eat. Most of the time I can’t put it in his mouth fast enough. 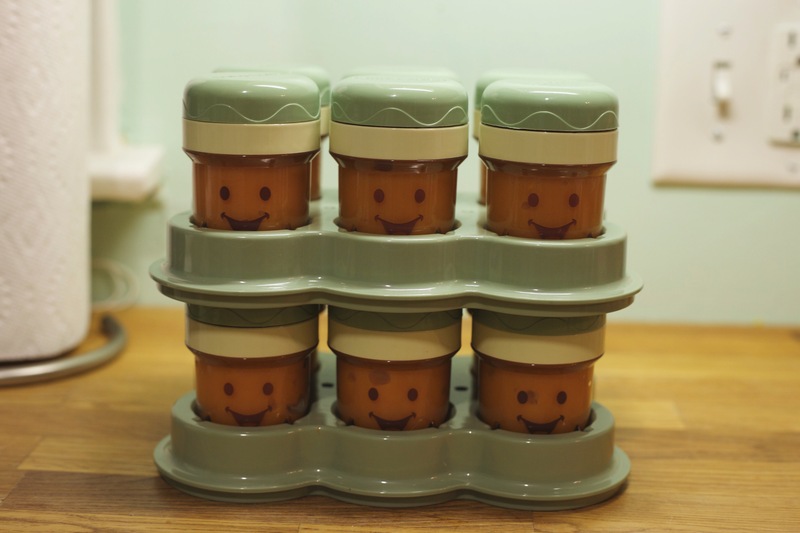 I have realized that buying baby food costs less than buying formula, but it still all adds up…so I decided to take out our baby bullet (so thankful for this awesome gift from our friend!) 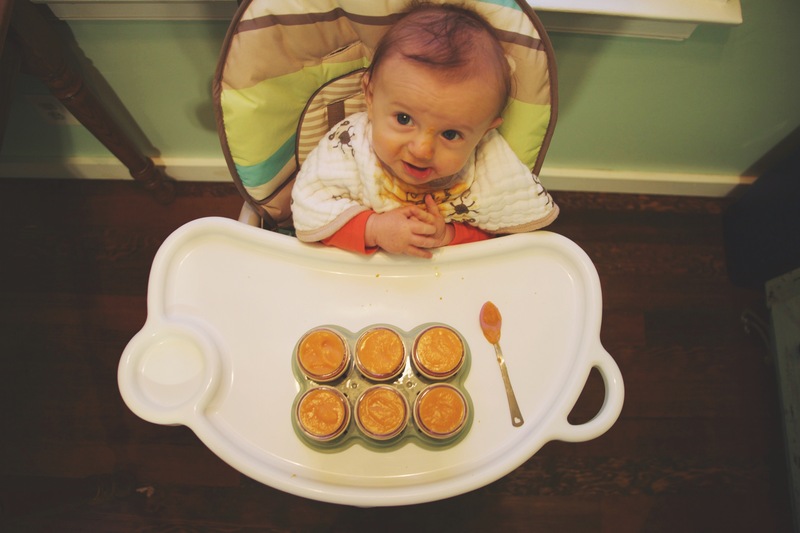 and purée up some YUMMY food for the boy. 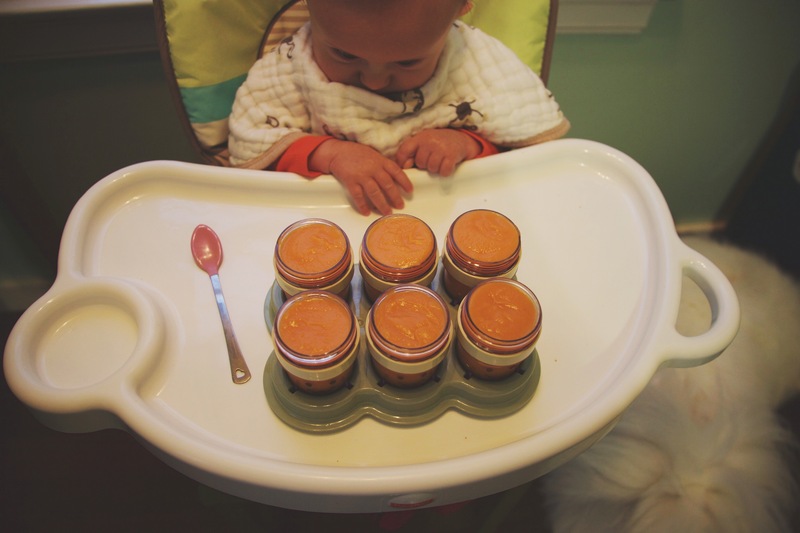 So simple, and so delicious (tried and true) and so healthy for my baby! 5 sweet potatoes that my awesome husband picked up from Fresh Thyme for .88¢/lb ($3.27 total! )…and I baked them for 1 hour, let them cool for another hour…peeled them, puréed them with water (I’m sure breastmilk would be tastier…but I don’t have enough of that obviously, so water will do) and put them in the cutest little containers, some in the fridge and some in the freezer. I filled 20 containers for $3.27! That’s .16¢ each serving! The containers in the store are .98¢ each! This is blowing my mind how amazingly cheap this is. Then Zeke and I sat down and ate some! 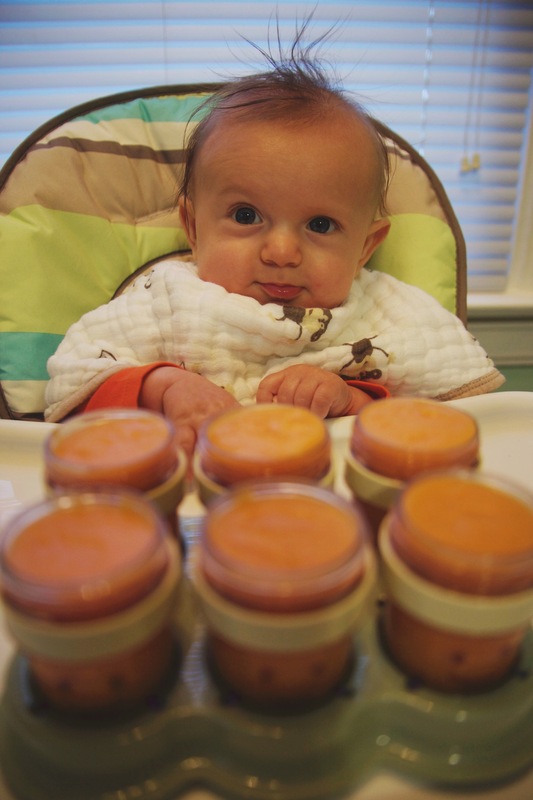 Judging by his face, and how it’s shmeared all over it…I’d say momma did a great job. So very grateful I can fill my baby up, one way or another. And nothing better than organic, natural purées. Next up, I’ll be making mangos and peas and…oh man, the sky is the limit. No picky eaters in this house. 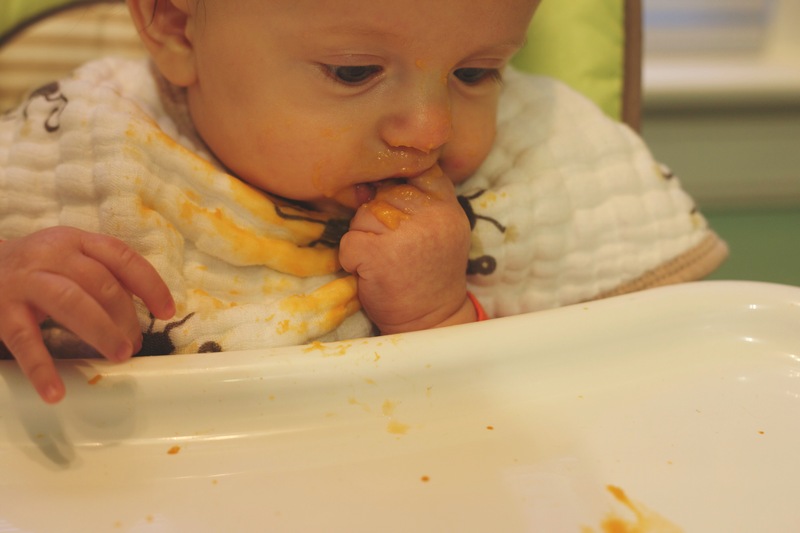 This entry was posted in Uncategorized and tagged baby bullet, baby food, breastfeeding, momma meets world, motherhood, sweet potato puree. Bookmark the permalink.